It was tipped to be a big hit at an auction of Russell Crowe’s possessions and so it proved. 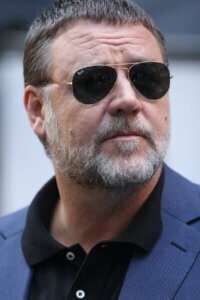 Russell Crowe’s violin was the highlight of the auction of film memorabilia and personal possessions – a so-called “divorce auction” – in Sydney. The Italian violin, picked by Crowe and his close friend Richard Tognetti of the Sydney Symphony Orchestra, with whom I have worked closely in the past, sold for AUS$135,000 (£73,528). It was the highest price reached for film-related memorabilia in the 227 lots up for sale at the auction in Sydney. The items were being sold, Crowe says, to fund his divorce settlement. The violin came out close to the top of Sothebys Australia’s valuation, but the dress uniform used by the character Captain Jack Aubrey in the same film far exceeded the experts’ eye. It sold for AUS$80,000. But it wasn’t the only music-related offering at the sale.